The Village of Wilmette is committed to a discrimination and harassment free workplace. In that regard, the Village has established the following Grievance Procedure. This Grievance Procedure is established to meet the requirements of the Americans with Disabilities Act of 1990 (“ADA”). It may be used by anyone who wishes to file a complaint alleging discrimination on the basis of disability in the provision of services, activities, programs, or benefits by the Village of Wilmette. The Village of Wilmette’s Personnel Policy governs employment-related complaints of disability discrimination. The complaint should be in writing and contain information about the alleged discrimination and/or harassment such as name, address, phone number of complainant and location, date, and description of the problem. Alternative means of filing complaints, such as personal interviews or a tape recording of the complaint will be made available for persons with disabilities upon request. Within 15 calendar days after receipt of the complaint, Michael Braiman or his designee will meet with the complainant to discuss the complaint and the possible resolutions. Within 15 calendar days of the meeting, Michael Braiman or his designee will respond in writing, and where appropriate, in a format accessible to the complainant, such as large print, Braille, or audio tape. 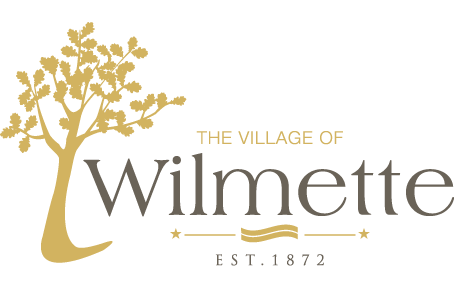 The response will explain the position of the Village of Wilmette and offer options for substantive resolution of the complaint. If the response by Michael Braiman or his designee does not satisfactorily resolve the issue, the complainant and/or his/her designee may appeal the decision within 15 calendar days after receipt of the response to the Village Manager or his designee. All written complaints received by Michael Braiman or his designee, appeals to the Village Manager or his designee, and responses from these two offices will be retained by the Village of Wilmette for at least three years. Questions may be directed to Michael Braiman at 847-853-7506.